This year’s Household Hazardous Waste day is Saturday, Oct. 13, in the north parking lot of Phillips 66, South Avenue and Oak Street. 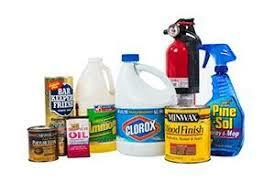 Crews will be on hand to help Ponca City residents get rid of hazardous materials from 9 a.m. to 1 p.m. Residents are encouraged to take this opportunity to dispose of hazardous chemicals properly. Items to bring include paint, car batteries, antifreeze, pool chemicals, household cleaners, pesticides, herbicides, drain cleaners, ammunition, fertilizers, televisions, computers, rechargeable batteries and medications. DO NOT BRING compressed gas cylinders, tires, explosives, radioactive materials, hypodermic needles, medical waste, kitchen appliances, containers of liquid over five gallons, or commercial waste. Volunteers who want to help with these event can call City Hall at (580) 767-0336. The event is a partnership between the City of Ponca City and Phillips 66.